Dr Marshall's Starter Pak for Canaries - includes the book Canary Health, TurboBooster 100ml, FVite 8oz, ePowder 200g., DufoPlus 100ml, Ioford 250ml, KD Water Cleanser 100g., Megamix 100ml, FREE Quik Gel 50ml, FREE Finch and canary Seed(1lb), FREE S76 (15ml), FREE Seasonal Program Charts, FREE 16 Page Product Guide. SAVE $79.60! 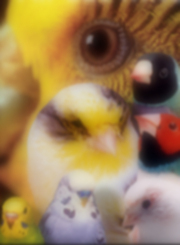 Dr Marshall's Starter Pak for Gouldians - includes the book A Guide to Gouldian Finches, TurboBooster 100ml, FVite 8oz, ePowder 200g., DufoPlus 100ml, Ioford 250ml, KD Water Cleanser 100g., Megamix 100ml, FREE Quik Gel 50ml, FREE Finch and canary Seed(1lb), FREE S76 (15ml), FREE Seasonal Program Charts, FREE 16 Page Product GuideSAVE 80.79! 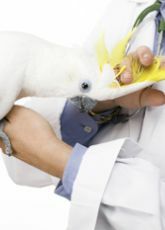 Doxycycline/Megamix Cocktail - using Megamix while treating with Doxycycline there is no need to remove minerals from your birds. This will accelerate their recovery. NEW! Wellness Pak - Includes: Amoxycillin (250mg) 20 caps, Enrofloxyn 25ml, Doxyvet 50ml, Starbucks Syrup 12.2oz, Syringe 3ml Save $16.63! Quarantine Kit - "If a bird looks healthy, it is healthy?" This is simply not true. The fact is a seemingly healthy bird can carry any number of pathogens that can wipe out your entire flock! The kit contains all the products that I have used for years when introducing a new bird into my flock. Amoxitex (1oz) S76 (30ml), Vitalize (1oz), Ronex 12% (1oz), Worm Away (2oz), Avian Insect Liquidator (100ml), Probiotics (1oz). The kit also includes my quarantine article with my step by step procedures to insure a safe quarantine of your new birds. Air Sac Mite Treatment Kits - Great Savings on everything you need to treat for the air sac mite! Kit A includes S76 30ml, Amoxitex 1oz., Avian Insect Liquidator 100ml concentrate Kit B includes SCATT 50ml, Amoxitex 1oz., Avian Insect Liquidator 100ml concentrate Deluxe Kit C and D includes Ceramic Infrared Heat Lamp 60 watt and Dome 5.5"
Stress Combo Pak! 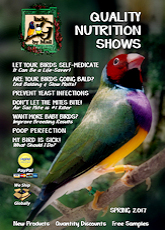 NV Powder & Probiotic - illness, shipping, breeding, showing and trips to the Vet can be very stressful on our birds. You will be amazed at the results! Measuring Kit - All the measurements you need are right at your fingertips. Easily Convert American to Metric. Kit includes: Plastic Spray Bottle 16oz, Measuring Spoon Set of 4, Syringe Test Pak of 9, Measuring Pitcher 16oz with measurments and Deluxe Bottle Brush.